A time traveller from as recent as the 1980s upon landing in the almost 2020s and finding us having a non-reciprocal conversation with our phone screens would propel him to scurry back into the 80s in whatever format he arrived in. Only after I hustled him for his retro Adidas slippers, of course. Oops, capitalism sneaking in there and I haven’t even got to making that point yet. Anyway, there I was, on snapchat; surpassing my recommended daily intake advised for a healthy social media diet. I stood there trying to justify why I wore more makeup than usual. I know how it looks when somebody, who aims (and claims) to live their life ‘authentically’, says so whilst wearing a full face of makeup. So I’ve decided to let you in on understanding the guilt I feel as a privileged, westernised girl (I’m 29 soon, and yet I don’t feel calling myself Woman is a force I can lay upon my emotions just yet) whose mind extends beyond the shores of the capitalist regime of well, the world. Not because I feel you should know about me, but because it may lead you to understand your own internal struggles. Unless you’re not a complex thinker as I am, to which I will say ‘I bet you’re glad’. This post isn’t so much about getting you to understand me as it is for me to understand myself. So, to set the context for the journey to the centre of my mind, let me share my deep, core beliefs. 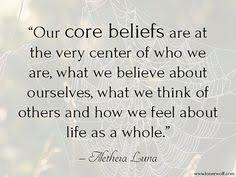 Simply put, we all have ‘Core Beliefs’ which we are unconscious of. Tell me go into therapist mode here for a minute and explain just exactly what core beliefs are, and the strength of these beliefs. 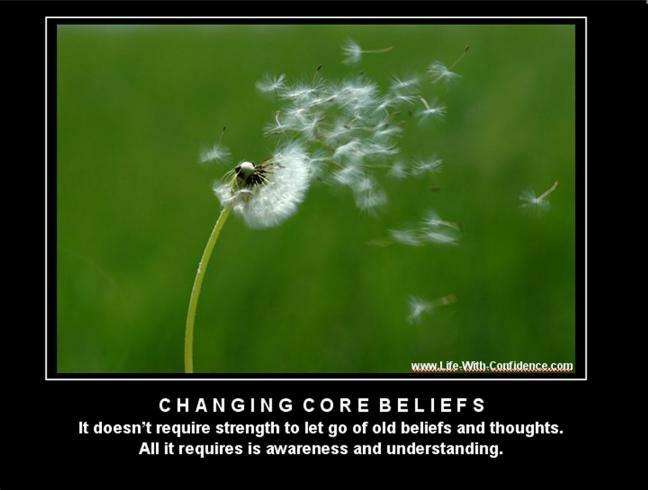 In ‘Cognitive Therapy’ these core beliefs drive our thinking, emotions and behaviours. They’re formed when we’re young and quite impressionable. They mould our perception of ourselves, people and the world. To illustrate this point further let me take you back to 1999 when I was 10 years old. I had just moved house from an estate where we were closer as a community and our dogs all ran mad around the street. Frankly, therein lay the best days of my life and the essence of my childhood. I moved to a more private estate, excuse us!. It was basically a huge change for us all, my dog included. So a couple of weeks after having moved, my daddy and I took my dog out a walk in our new surroundings. Being an absolute hallion we let our dog run loose, much to the detriment of well, the rest of my life because Tandy (the dog) ran out onto a busy road upon seeing another dog and getting hit twice. To cut a traumatic long story short, the core belief that would dictate my life formed on the very spot, in that very moment where I stood in dry shock having seen and heard my dog getting killed. 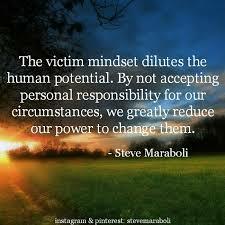 I AM RESPONSIBLE! To be clear, I didn’t consciously stir up this Core Belief, it was my unconsciousness at work because somewhere in the Mines of Moria of my mind the Balrog was stirring. (That was a Lord of the Rings reference there for you otherwise Harry Potter fans). Nobody had told me it was my fault, nobody told me she died because she wasn’t on a leash. It was the nerve, literally, of my brain to form that conclusion. 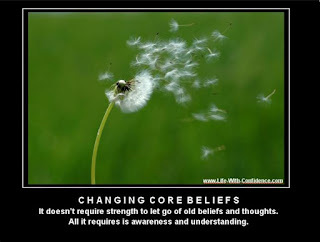 So how do I know that my ‘Core Belief’ is “I am Responsible” if we’re meant to be unconscious of them? Well, the formation of this core belief on that night in September 1999 led me to develop a crippling form of Obsessive Compulsive Disorder (O.C.D) which had to be managed with C.B.T therapy. Ironically, I was training in it whilst receiving it for my newly diagnosed mental health disorder. O.C.D is a condition that there is no known cure for, so we’re roomies for the foreseeable future, it and I. It knows not to drink out of my cup or sit on my bed, but it’s a shapeshifter because when I think I see myself in the mirror it’s actually my O.C.D presenting itself as me, telling me I’m the worst thing in the world. And it’s easy to believe it, especially when it’s your own reflection telling you so. O.C.D feeds off your identity. You can never really tell when your mind is your own, or the O.C.D at play. That was a metaphor, by the way. O.C.D is a on the neurosis end of the scale, it's not psychosis. My reflection doesn't speak back to me. Just to be clear. So I take certain tablets to break us up, to keep it somewhat restrained. It still stares at me, from across the room it is not paying rent for in my head. Sometimes, if I shift my gaze, it can attack. It tries to attack often. So, when you have this knowledge that you’re ‘responsible’ as a result of a tragic situation where you were irresponsible would you change it? No! Because for me it drives me to behave in a way to be responsible for others when they themselves can’t be. So there’s why I work in mental health. I don’t charge what I could charge for my services. Why? I believe mental health care and support should be very cheap if not free. So I don’t want to be responsible for somebody’s ill health because they couldn’t afford therapy. So that brings us to why I feel I have to justify my actions and behaviours. The more privileged I am the more guilt I feel for those who don’t have warmth, food, shelter, love. I feel responsible for what I have and for what they don’t have. As a reluctant citizen of the Western world I’m in conflict between wanting to be successful and wanting to fulfil my obligation of being responsible, both of which are excruciatingly demanding. To have ‘effect’ in my world in mental health I have to be ‘seen’. I have to be ‘heard’, to tell people “Look, there is help”. But the modern method is seeking attention conflicts with my need to be authentic. If I don’t show that my backside is toned on Instagram, will I be ignored? How is my Ego being fuelled in all of this? Will I catch the attention I need to lead them to what I really want them to see? That real, genuine care that is overlooked if I don’t package it with a big sicker of myself on the front for the voyeurs that populates social media. My running thought is “how can I do something that attracts attention to the help I’m offering in a way that is alluring to the ‘superficial’ and ‘choreographed’ standards of social media, but authentic to me?” Can you see how difficult it can be? Can you begin to understand that internal conflict I, and so many others, deal with? Because I understand certain people’s incessant need for validation from posting incessant photos of themselves, I begin to fear that if I do it then I will look just as insecure and drive my the need to inflate my ego. Let me go into therapist mode again. Whilst my main core belief is ‘I am responsible’, there are many of us whose main core belief is “I’m not good enough”, “I’m unlovable”, etc. So then, just as my behaviours are driven by the need to do things that keep me from being irresponsible, so too do the people who feel unworthy do things that stop them from feeling unworthy. So then we have those people who constantly post photos of themselves filtered to the eyeballs. They overcompensate for the ‘lack’ that they feel. Just like I feel guilt for being unable to help the people who are living third world countries. The result of my guilt is cynicism and disgust for the world I live in, just as the person’s incessant posting of themselves is a result of their feelings of unworthiness which is temporarily placated by ‘likes’. When that wears off, they post another photo and then another and another. So to myself who feels responsible, you don’t have to be and you can’t be. You can contribute to change, but you can’t change the world by not wearing lipstick. To the person who feels unloved and unworthy, you are validated long before you take that photo and post it. You are enough without having to prove it. You are lovable in all your imperfect perfection. 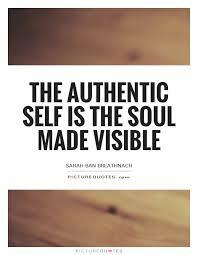 My need to be ‘authentic’ doesn’t have to comply with this unrealistic demand upon myself to be responsible. My authentic self wants to wear makeup, it would be inauthentic to deny myself that. My belief of needing to be ‘responsible’ shames me into believing that wearing makeup is superficial in the bigger picture of a world full of suffering. So can you see why I felt compelled to justify my wearing of makeup on snapchat? I tread carefully. I deliberate over each photo I post, over my actions and my words. “Does it comply with my ‘authenticity’? Yes, I love makeup and it’s a photo of me wearing makeup! But are you being responsible? No, it’s superficial and there are people dying and here I am putting on makeup”. Yes, it’s exhausting. Our pursuit for ‘Happiness’ is what drives our life decisions. However, our concept of ‘Happy’ is flawed, in regards to our culture which enforces it via advertising. The Westernised concept of happiness is capitalised. It’s the new 4X4 jeep that can do your brows as you drive, or the Gucci bag made from the skin of your enemies. Happiness, in the West, is an obscure refraction of a much more simplistic and metaphysical value system. The road of life is not paved with happiness, it’s formed from ‘contentment’. Happiness is just the flowers we see on the way; not always there, but pleasant when we do come across them. The flowers cannot sustain us, it’s the hardy ground of contentment that we need more to keep us going. Contentment is acceptance of the fact that you’re not the most beautiful, richest or smartest, but grateful that you’ve stability to keep walking through life anyway. So there, a reflection of my mind in one sitting. I applaud you if you’ve gotten this far. If anything, the awareness in and of itself of how my mind and its internal conflicts are enough to keep me grounded, humble and conscious people other than myself. I could come to a destination where these conflicts no longer exist and I can make clear, constructed and conscientious decisions. But that destination doesn’t exist because it’s the very struggle of life itself that takes us from a piece of rock to a sculpture of our true selves that resides within. Life is the sculptor and we are its art.